A passes to B. 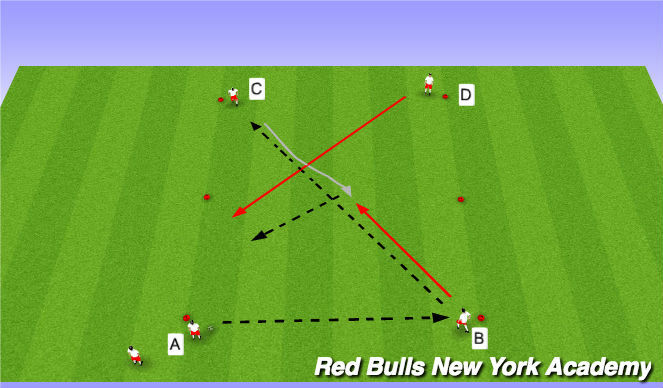 B drives a long pass across to C. C commits B (passive defender) and plays the pass to D who is overlapping. Rotation: A - B - C - D.
- Recognising when to make the overlapping run (player on ball driving infield) and when to support underneath ball. Defender is now live on C's first touch. Play 2v1 to the endlines. - Recognising when to make teh overlapping run (player on ball driving infield) and when to support underneath ball. 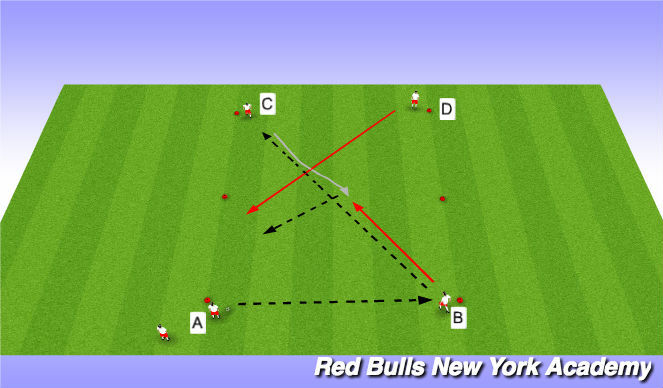 - A passes to B and then sets off around C's cone and joins the play as a recovering defender to make it a 2v2.